What’s on Tap for October’s General Membership Meeting . . . The Cascade Blues Association is not just a group to get together with and listen to great blues music. Well, we do offer that, but we also want to provide so much more. One of those goals that we strive for is to support our local musicians and to help younger artists gain the attention that they deserve. For our monthly general membership meeting we are proud to host two young musicians who are making a name for themselves up and down the Willamette Valley. Because we all know that these will be the blues artists that we’ll be listening to hopefully for years to come. 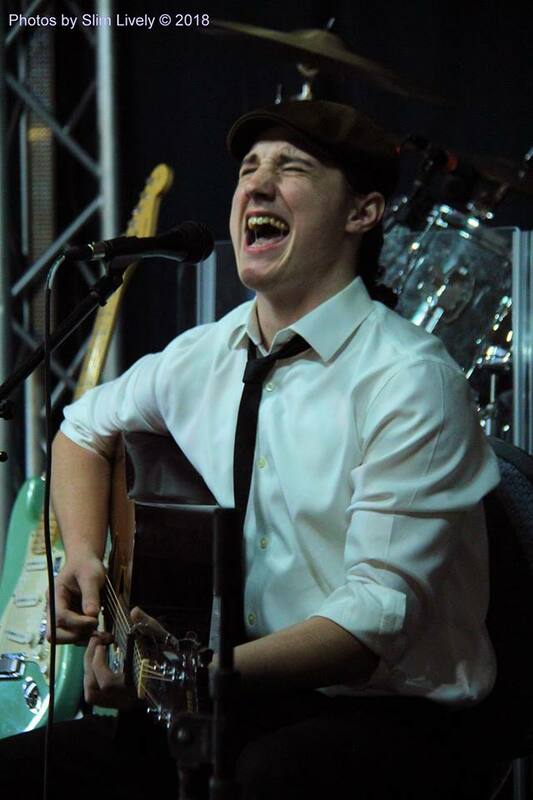 Justus Reece played for us last year when we first started booking shows at Catfish Lou’s. He has been consistently studying guitar while also being aware that he can never know everything, and that the guitar is a lifelong pursuit. He has studied with Terry Robb with whom he has appeared at venues such as The Venetian in Hillsboro for his IBC fundraiser and the Old Liberty Theater in Camas. And aside from the IBC appearance on Beale Street, Justus has performed at events including the Blues4MS concerts, Cathedral Jazz Festival, Portland Blues Cruise, Gorge Blues & Brews, Carlton Crush, and the Waterfront Blues Festival. The music that Justus performs includes a wide range of styles, not only blues but jazz, folk, funk, jam band, and more. 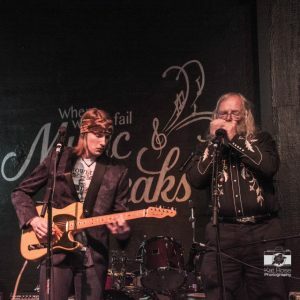 You can expect to see him offer a variety of American music such as ragtime, Piedmont blues, American primitive, Delta blues and other roots music. His inspirations are many, but include among them the diversity of such as Herbie Hancock, Frank Zappa, Blind Blake, Yes, Mississippi John Hurt, Charlie Hunter, and Funkadelic among them. Certainly a young musician with an open mind and on a quest to learn something new from every direction. The second set of the night will feature another young guitar player, Louis Creed. The last time he played for us he was accompanied by William “Froggy” Hyland, who makes up just one part of Creed’s band The Geezers. Heading up from the southern end of the Willamette River, Louis and Froggy make a rare return to Portland for the Cascade Blues meeting, this time with the more Geezers. Froggy describes the band as based south of the big city, tearing up winery and brewery venues and local dives from Cottage Grove to Newport to Eugene, and bolstering an emerging music scene in Lebanon, of all places. Louis Creed is the hottest young blues guitarist around, a Black Sabbath acolyte turned blues historian and traditionalist. His singing is fresh, his guitar antics unparalleled. You may remember Froggy as a Cascade Blues Association representative and semi-finalist at the International Blues Challenge, or from his long running blues jam at the Calapooia brewery in Albany. He is currently working on his fourth album of originals, laying down harp licks, lap steel, rhythm guitar and vocals for the band and anyone else with money. More Geezers include Rex Baker on bass holding down the bottom for musical conglomerations in the area, plays with a pick and chews gum at the same time. He may know every tune ever written, or imitate it convincingly. He is a wise guy. Louisiana Andy Lade joined the band with a forged AARP card, adding some second line flavor and the thrill of the unexpected to the lineup. He is a hard working guy who puts it all out there every time. This is traditional blues, folks. Not a rock band with a harp player. Blues by the masters, a couple of folks who are still alive, and an original or two. This band is hot and Louis fans the flames. Head on over to Catfish Lou’s for the meeting, try their new menu featuring more fantastic Southern offerings, pick up a drawing ticket at the door for a chance to win prizes and enjoy a terrific night of blues music. What can be better than blues and friends. Hope to see you there.